The HDMI interface is to transfer not only image but also sound. If the Protocol is Sound over HDMI support signal source and the TV, no problem. But what to do with the lack of standard support at least one of the matched devices? Sound source on the TV can not only to HDMI cable, but a separate analog cable. Locate your TV RCA Jack labeled Audio in. If more than one, use the one closest to the HDMI input. Connect it with a cable connector of the source signal labeled Audio out. 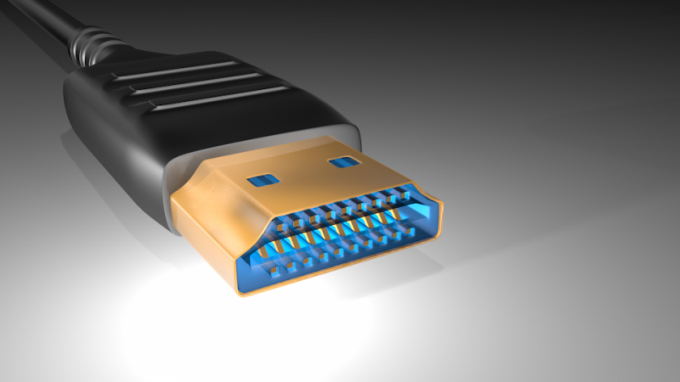 Some sources do not have RCA connectors, but connectors are equipped with a standard SCART. To remove such a device beep, use the SCART adapter to RCA. In the absence of such adapter use SCART, which use the following contacts: 3 - audio output 4 - shared. There are TVs, deprived of the possibility to receive data about the image with one connector, and the audio signal from the other. In addition, the HDMI interface equipped with not only televisions, but also large screens and amplifiers and speakers are absent. In this case, come to the aid of your existing component system or music centre. Look on the back of the amp loose connector AUX (also RCA) and send the signal to it. If the source is stereo, connect: white plug left channel red - right. In the absence of the audio system come to the aid of computer speakers. The signal source find the headphone Jack (don't confuse it with the microphone, your existing DVD player with karaoke function) and connect speakers to it. If the earphone Jack on the source of no, the signal from its output line feed to the preamp and from the last - in computer speakers. You can do a simple adaptor, in which the preamp is missing, but the sound will be noticeably quieter. If you have experience repairing TVs and are familiar with safety rules, feed the sound directly to the amplifier apparatus. General wire of the TV signal source connect. Locate the circuit chip, on which is built the amplifier. Signal served on input output of this chip through a capacitor of about 0.5 UF. All switching should be done at completely de-energized equipment.